This is a review and contains spoilers. You can find my Currently Watching article here. Yool Seol Ok (Choi Kang Hee) is a stay at home wife to his absent prosecutor husband. She wants to become a detective and her secret hobby is solving crimes. Ha Wan Seung (Kwon Sang Woo) is a dedicated detective who gets sent to a substation instead of getting a promotion. There he meets a hard-headed ajummah named Yool Seol Ok who keeps getting involved with the cases they have. Ha Wan Seung has no other choice but to admit her abilities and the two start working together to solve crimes. I admit it: I did fall for your charm. 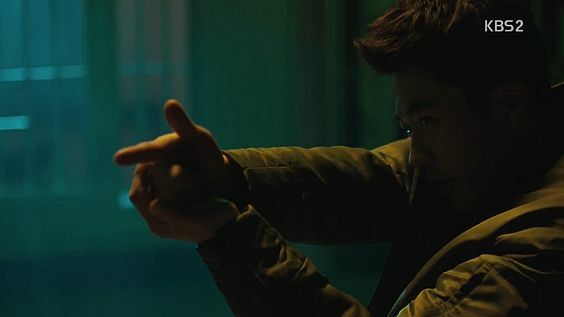 Like all the other crime solving dramas with different gender partners, Queen of Mystery relied on the tension and interactions between the main cast. Kwon Sang Woo has been one of my favorite actors for a good while and here he did not disappoint either. Choi Kang Hee continued with her distinctive (and in my opinion sometimes awkward) acting but combining her character with Detective Ha made her a likable character. For most of the drama I couldn’t feel for Seol Ok: she was slaving away because of her in-laws and her husband was nowhere to be seen. Although she did not technically get a divorce I’m sure it’s coming. She has finally gotten to the point where she can do what she wants in her life and is free of her baggage (aka husband). Although ajummah and detective Ha are not a unique crime solving pair I liked them working together. Who can really resist a bickering pair? If Mystery Queen let me down anywhere it was the way it handled “the main mystery”. The murder cases of ajummah’s parents and detective Ha’s girlfriend never actually got solved! Only in the last episode did the drama start solving the case… We didn’t get any solid answers and it raised more questions than it answered. Despite the cliffhanger I like the ending Mystery Queen gave us: it was refreshing and light. Although unlikely, I hope that we’ll get to see more of Detective Ha and ajummah. Continue the story of ajummah and Detective Ha here!